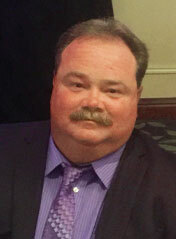 President JJ Wallis has been with the Grand Prairie Police Department since January of 1990. JJ started in the Patrol Division. He was an FTO and a member of the SWAT team. After several years in Patrol he transferred in to CID. He became an investigator in the Gang Unit. He served in the Gang Unit for many years. The unit investigated all gang crime from graffiti to murder. The unit evolved in to the special investigations Unit where he became an investigator in the Vice Unit. With over 20 years in the department and the readjustment of the Unit JJ transferred back to Patrol where he currently serves. JJ served the GPPA membership as a shift rep, Vice President and President. Several months in to his Vice Presidency the president resigned and JJ took over for 8 years. During that time the dedicated membership made great strides. We pushed for the brand new training center and historic pay and benefit increases. "I was lucky enough to be followed by two great presidents, that continued to build the brotherhood, set milestones of their own and work hard for the membership." In January of 2011, JJ was fortunate enough to return as president of the GPPA. "I am privileged enough to be representing the members of the GPPA at such a historic time in our department. The brotherhood is stronger then ever."